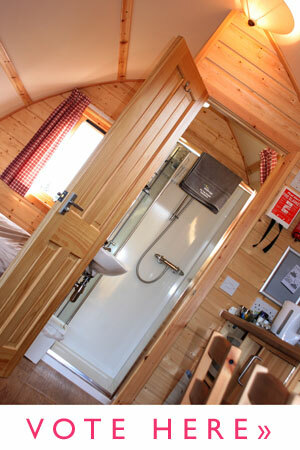 We are really pleased to announce that we have made the finals of the Muddy Awards Best Glamping category! The competition was stiff, but we’ve made it and it is all thanks to you! The final round of voting has started. It’s live voting with each nominee appearing next to a cocktail glass on the page. As you vote, the glass will be filled, until midday on Fri 16 June when voting closes and there is a winner. Now it’s all down to the public vote – and that’s where we’d love your help! We would really appreciate your vote in the final. Just sign in here via Facebook or your email address and vote for the National Diving & Activity Centre in the Glamping category. Muddy Stilettos, ‘The Urban Guide to the Countryside’, is a series of fun and informative lifestyle blogazines written by journalists across 18 counties with reviews, what’s ons and more. Muddy Stilettos was a finalist in the UK Blog Awards 2017. The ethos of Muddy is all about quality and curation and unearthing the cool independent businesses and events in each county. The Muddy Stilettos awards are entirely publicly voted, so to win a Muddy Stilettos Award is a real achievement. The competition was stiff, but we’ve made it, hurrah! The Wooden Wigwam accommodation at the National Diving & Activity Centre has been nominated in the 2017 Muddy Stiletto Awards for ‘Best Glamping in Gloucestershire‘. Following the nomination, it’s all down to the public vote – and that’s where we’d love your help! If you’ve stayed with us and enjoyed your stay, your vote would be really appreciated. Just sign in here via Facebook or your email address and vote for the National Diving & Activity Centre in the Glamping category. We recently spotted the following tweet on the NDAC Twitter timeline by Emily Norris (@emilyanorris). We were so impressed by the models she made of our Wooden Wigwams that we got in touch with Emily to find out the full story. Emily is an artist studying Technical Arts and Special Effects at the University of the Arts, London. During a visit to the Wire Zip Slide Emily came up with the idea of a glamping trip to the NDAC as a fun present for her boyfriend’s birthday. The gift was for my boyfriend’s birthday as a little fun getaway when we are both home from university. We go to different universities so it is a great way for us to spend a bit of time together"
Rather than just telling her boyfriend about the gift with a card, Emily used her creative talents to create the model of our Wooden Wigwams. Making him the model wigwam was the only fitting way to explain what I had bought him. I like to give gifts that the individual would never have thought of. On visiting the centre to have a go on The Wire, I realised the Wigwams were the perfect present"
More of Emily’s creative work can be seen online via her Facbook page.